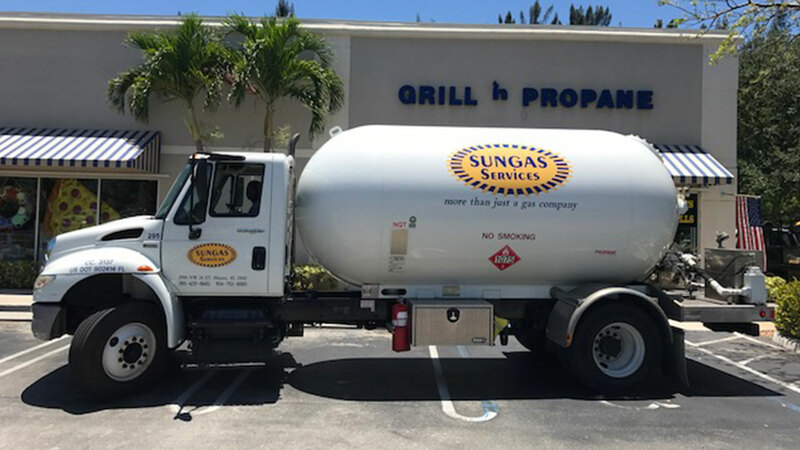 Propane, LP gas, bottled gas, butane, and propylene are some of the names used to identify liquefied petroleum gas. LP gases are in the family of hydrocarbons, but not all hydrocarbons are liquefied petroleum gases. Propane is normally stored in a pressure vessel as both a vapor and a liquid under moderate pressure. In its natural state it is colorless, tasteless, odorless and non-toxic. It is produced through the oil refining process or is stripped out of natural gas. In most cases an odorant is added to serve as a warning agent of a possible gas leak. The odorant most commonly used is Ethyl Mercaptan. Propane liquid will expand 270 times as it changes from a liquid state to vapor state. For example, 1 gallon of liquid stored under pressure in a container will expand to approximately 270 gallons of vapor if released to the atmosphere. Consequently, a small amount of liquid propane has the potential to create a serious hazard. This rapid expansion ratio of 270:1 makes propane an effective refrigerant. Propane boils at 44 degrees below zero (-44°). Through this refrigeration process, heat is rapidly absorbed. As liquid propane converts to vapor through the 270:1 expansion ratio, the rapid conversion of liquid to vapor causes intense chilling that literally freezes whatever it comes in contact with. For this reason, precautions should be taken to protect eyes and skin from the liquid since freeze burn or frostbite is possible. First aid treatment for frostbite is the application of lukewarm water to the affected area. As with any serious burn, immediate medical treatment should be sought. Specific Gravity is the weight of a product compared to the weight of water or air. The specific gravity of propane vapor is 1.50; air is 1. This means that propane vapor weighs one and one-half times more than air. The specific gravity of propane liquid is 0.504; water is 1. Therefore, we know that propane liquid is lighter than water. Since propane is heavier than air, it PROPANE IS HEAVIER THAN AIR will normally seek out low areas. This behavior, however, can easily be affected by air currents. The fact that propane is heavier than air also creates the hazard of a simple asphyxiant. Oxygen needed to sustain life can be displaced by propane. If a large accumulation of liquid or vapor is present, always remain upwind. Never enter a concentrated area of propane vapor. Inhaling vapor can cause dizziness, anesthesia, and respiratory arrest. One gallon of propane weighs 4.2 pounds. Temperature has a direct relationship to propane pressure. A pot of water placed on a stove at a high temperature will eventually boil over. In the same way, an increase in outside temperatures will cause an increase in the pressure in an LP gas container. As the pressure increases, the volume of the liquid will also expand in the container. For example, water expands 2.2%. 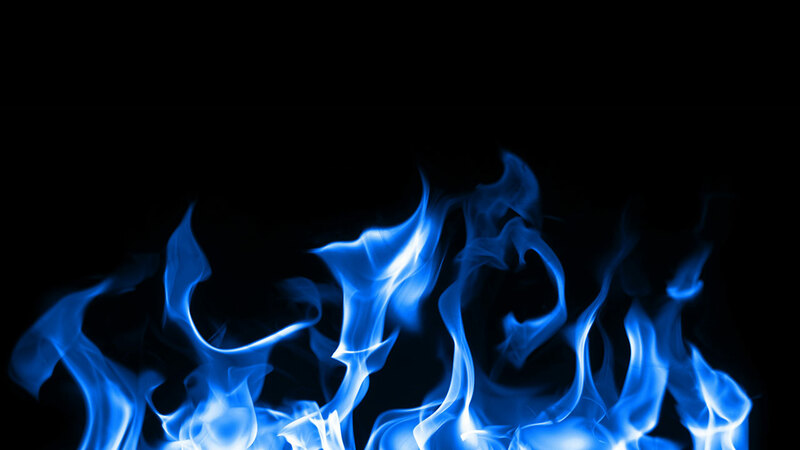 At a temperature rise from 160° F to 600° F, liquid propane would expand 25% and steel would expand only 0.19%. 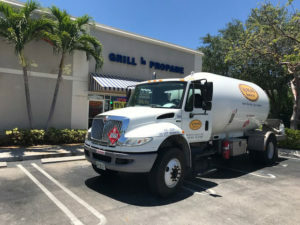 The fact that propane reacts more quickly to outside temperature changes and expands more rapidly emphasizes the importance of NEVER overfilling an LP gas container. No LP container may be filled to more than 80% of its capacity without temperature correction. This means that a container filled to the legal limit will propane stored inside as both a vapor and a liquid (as shown below), allowing for expansion within the container.